Set up the cards like a memory game. 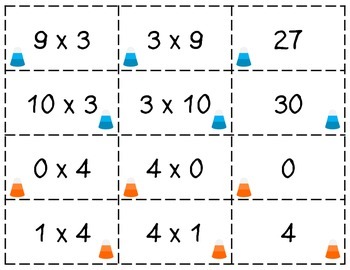 Each player turns over three cards. 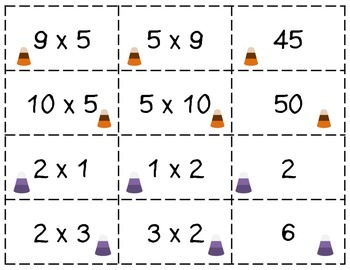 It’s a match if you turn over matching equations and the product. 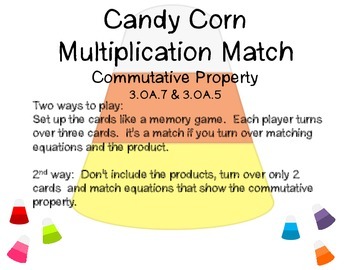 2nd way: Don’t include the products, turn over only 2 cards and match equations that show the commutative property.